Special thanks to Kathryn for today’s tutorial! You can see more of her great work on her blog, Kathryn’s Cards. Kathryn is helping us transition from Christmas into Valentines. 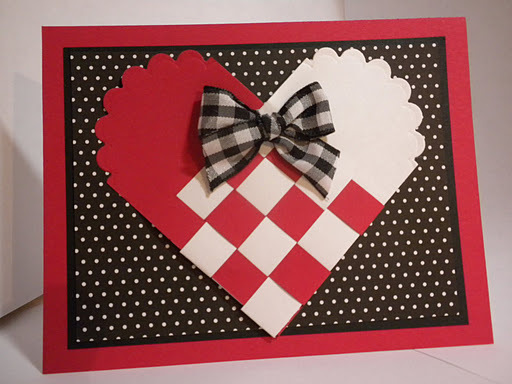 with this woven heart card. Remember, your shipper should have all your Christmas cards by October 31. And if you’re having a hard time wrapping your mind around Valentines while you’re still designing your Halloween outfit, just think of them as “I love you” cards. Love is good all year round! This card idea came by way of my mother. I can remember her making these woven hearts out of old file folders when I was in elementary school. This is a modified version that will fit on an A2 card and also has a pocket for a small note! 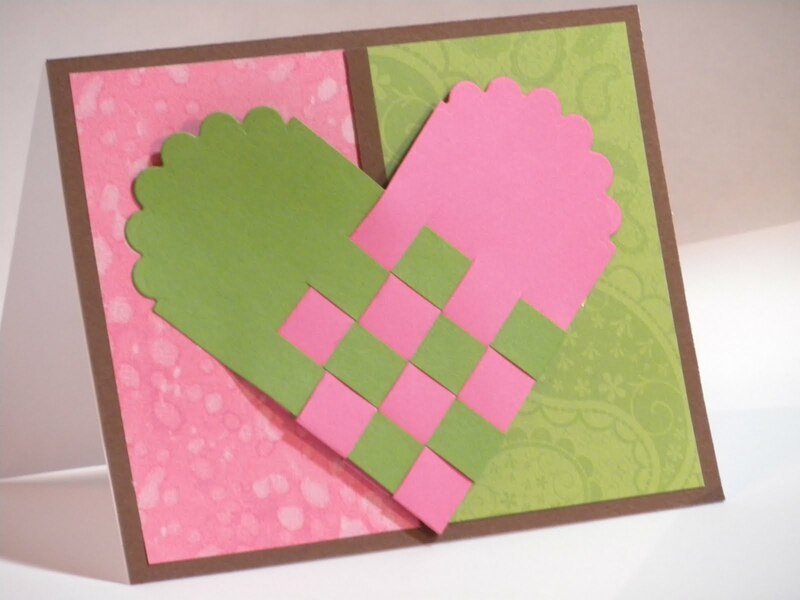 To make the heart, you should choose two contrasting colors of the thinnest cardstock you have. You want something thicker than copy paper but not as thick as a good card base. 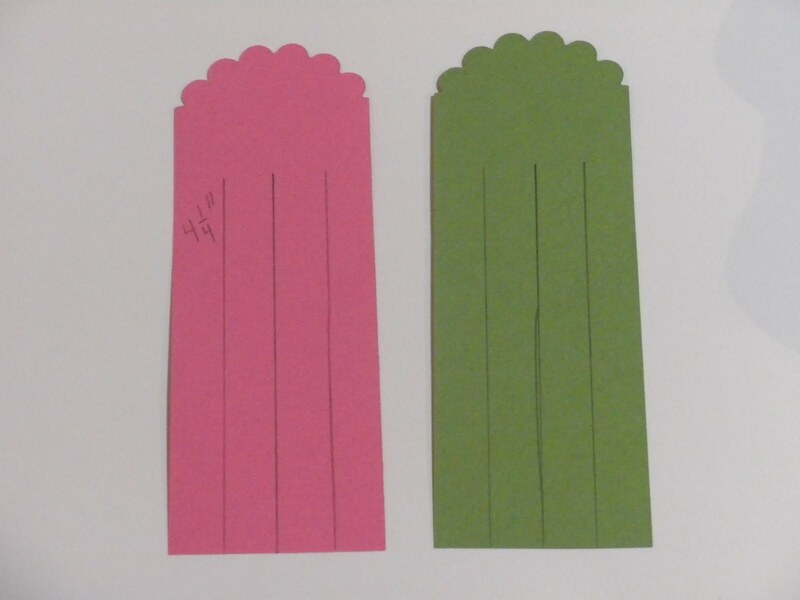 I used the paper that comes in packs of 50 from JoAnn or Michael’s. 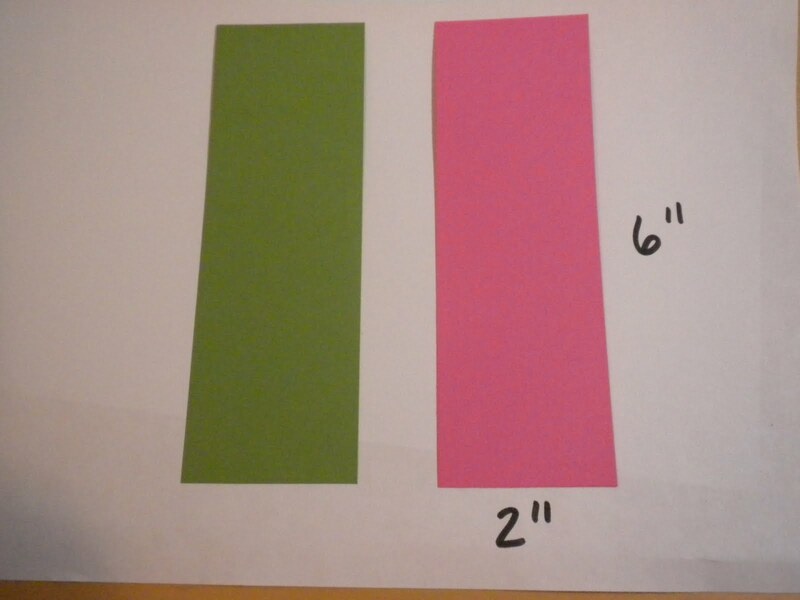 Cut one strip of each color 2 inches by 6 inches. 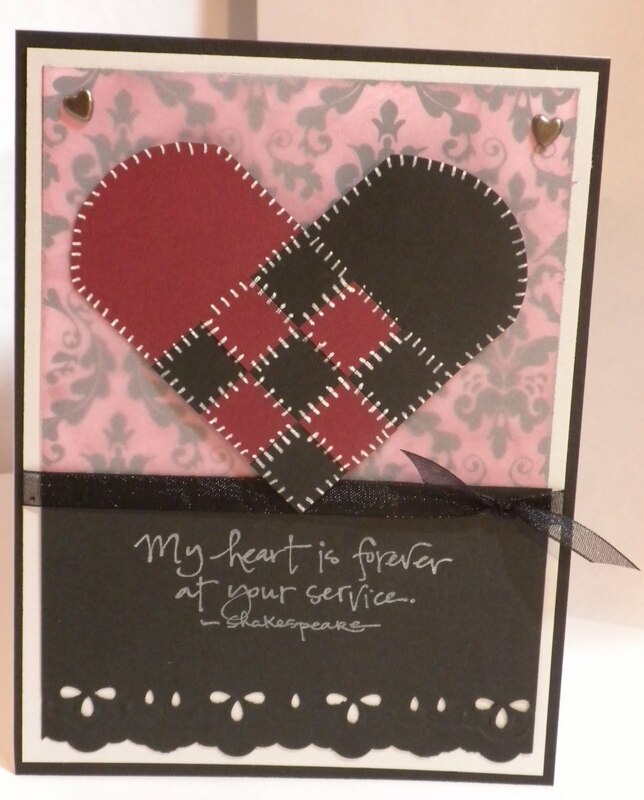 I used the second largest “large scallop oval” from Spellbinders Nestabilities to make the edges of the heart. The die is 2.75 inches by 3.5 inches. Thread the cardstock strip through the Nestability so you will only cut the top edge off. (Thanks, Sandy- I learned this on OWHtv!) In the photo, the cutting ridge is facing down. Secure with a bit of painter’s tape so the die doesn’t slip out of place while you’re setting up your die cut machine and running it through. Note: If you don’t have Nestabilities, you could simply trace a 2-inch circle at the top and trim carefully with a pair of straight scissors. This is what it will look like after you use the die. On the wrong sides, use a ruler and a pencil to mark three lines 4.25 inches up from the narrow straight side, one half inch apart. 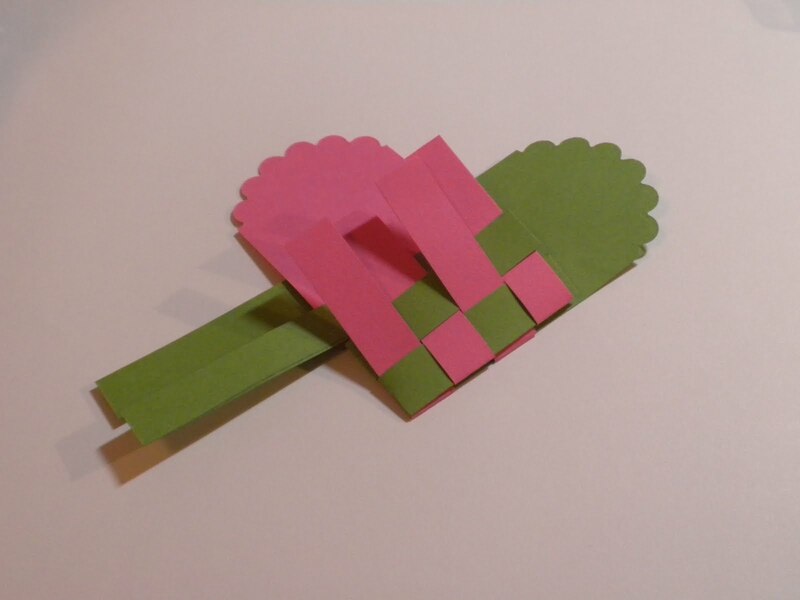 I laid the paper on my cutting mat while I did this to make sure my lines would be parallel. 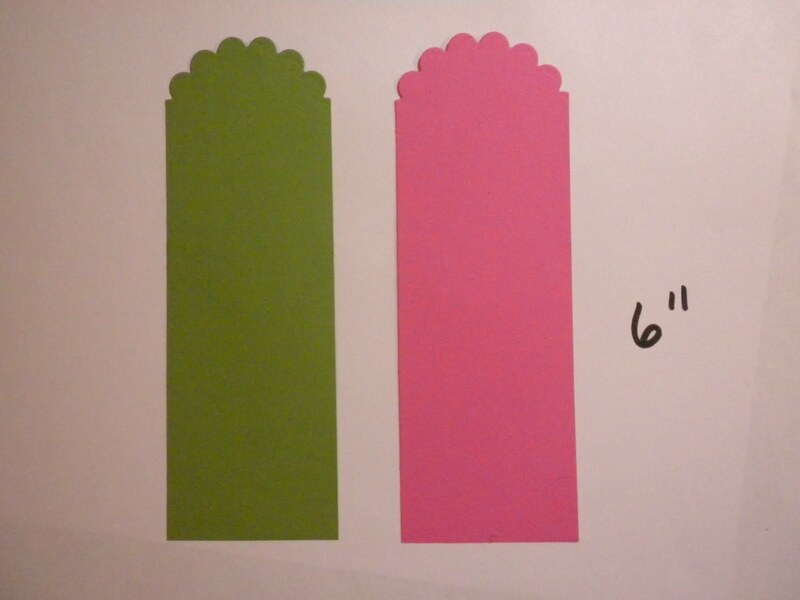 Trim with scissors or a paper trimmer, being sure to only cut to the 4.25-inch mark. Erase marks gently. Weave strips together. This is easiest and you’ll have less wrinkles if you weave nearer the bottom of the loose ends and then gently work the strips up when you’re finished. It takes some finesse and patience, so don’t be discouraged if the first one you make gets a wrinkle or two. When the front is finished, flip the heart over and weave the back. I used photo splits to hold the loose ends together because it was hard to get my ATG into such a small space. If you’re in a rush or tired of weaving, you can cheat on this last weaving step. 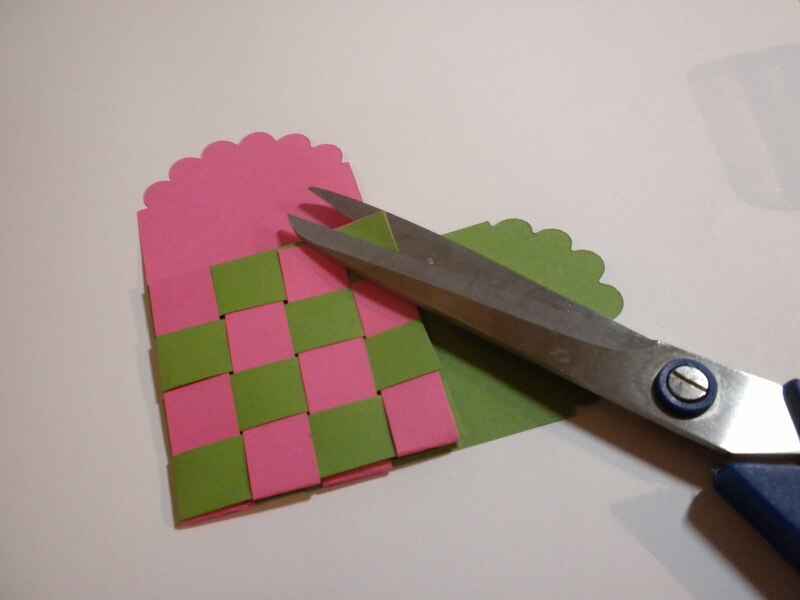 To cheat, cut a 2-inch square of scrap paper. 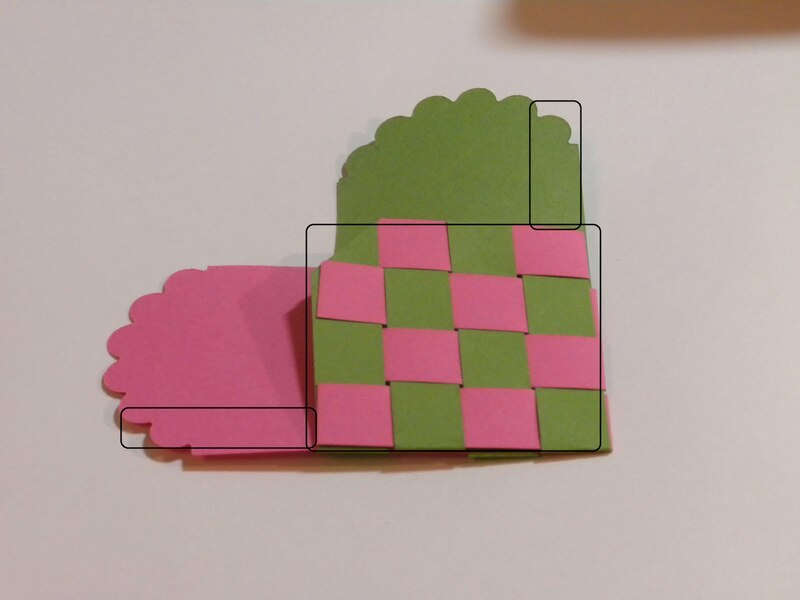 Fold all four pieces of one color over so they’re hiding behind the heart, adhere the square on top of these strips, then adhere the four other strips to the top of the square. 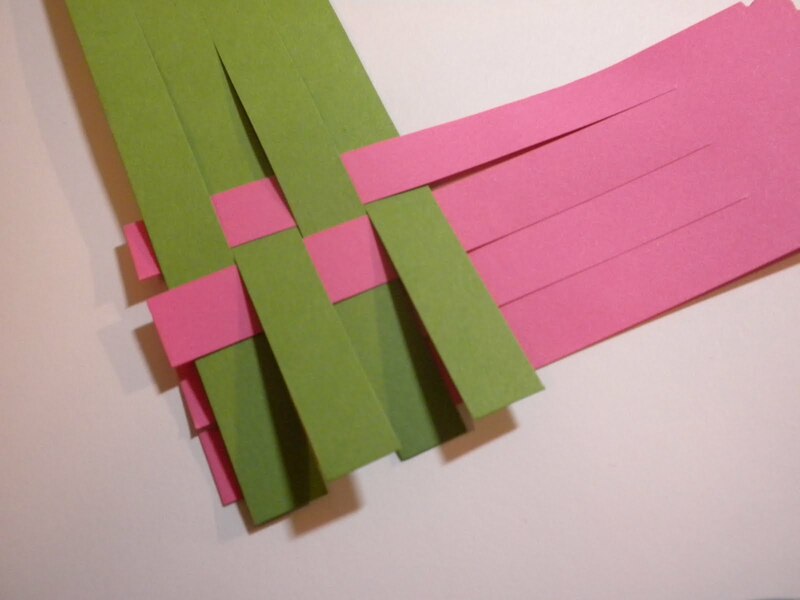 If any of the strips are visible from the front, you can trim a little off the back. Your heart is finished. Add it to a card however you like. If you want to use the heart as a pocket, apply adhesive only in the areas shown in the photo below so that it can open. 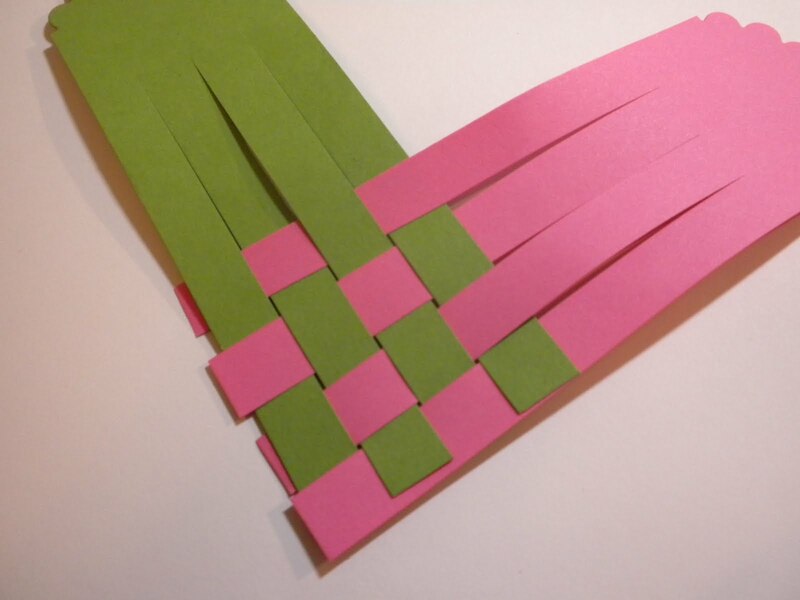 If you want a smaller heart, try cutting two strips to 1.5 inches by 4.5 inches. Cut two slits (instead of 3) one-half inch apart, making them 3.25 inches long. 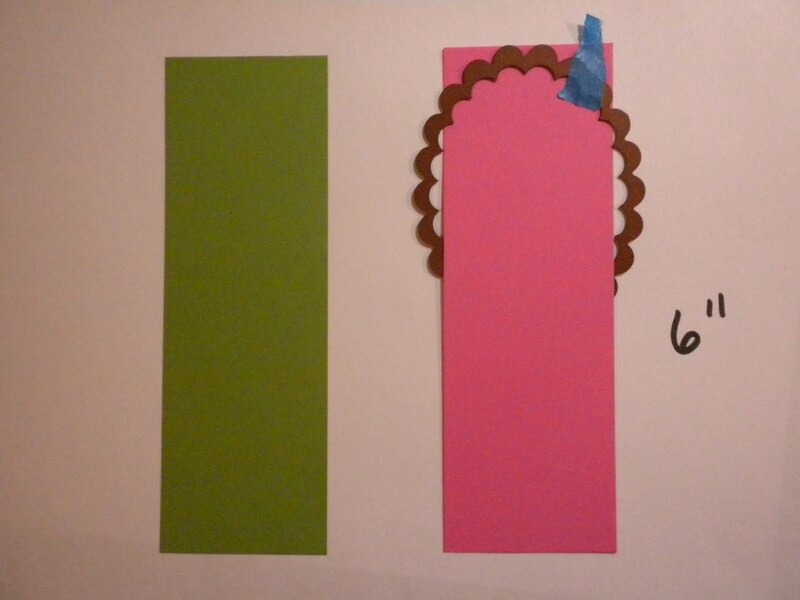 For my sample of the smaller card, I traced a circle and cut the rounded parts by hand instead of using a die. A large corner rounder would also work well. Thanks again, Kathryn for this great tutorial! The pictures make it so easy to see. Remember, anyone can submit an idea for a Tuesday Tutorial. And if you’d like to do one, but don’t have an idea, just write me at kate@operationwritehome.org. I have ideas, and will help you put it together. Fab tutorial, Kathryn! Can't wait to give it a try! Thank you so very much. 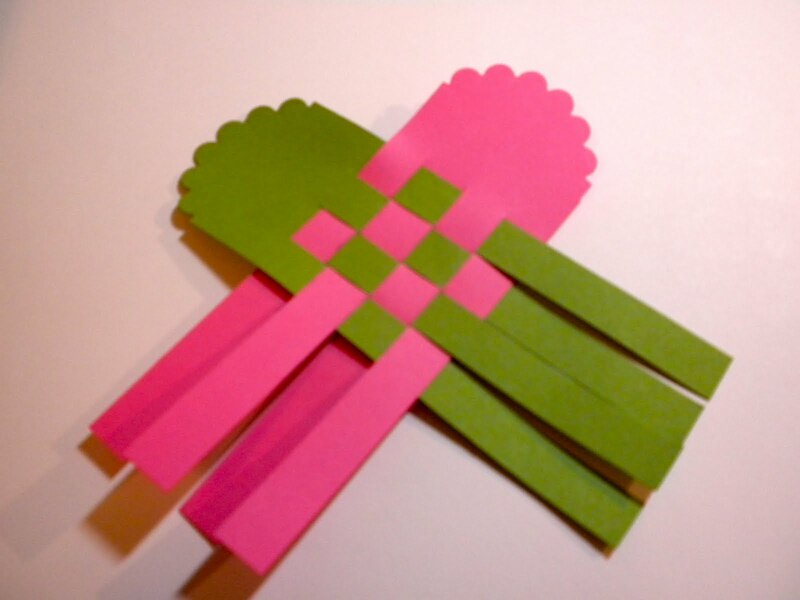 This is a great project for the kids for Valentine's day! This is cute! I'm going to give it a try! Thanks so much, Kathryn! Wow – what a wonderful tutorial – you make it look so easy – and the nestabilities part is such a cool idea! I can't wait to try it! Ihave a Stampin up die that might be perfect for this – can't wait to try – and post my CASE! Thank you for the great tutorial! I am going to have to give this a try. I am so glad to see this tutorial today. I'd seen similarly fashioned hearts a long time ago, never tried it and then completely forgot about it. 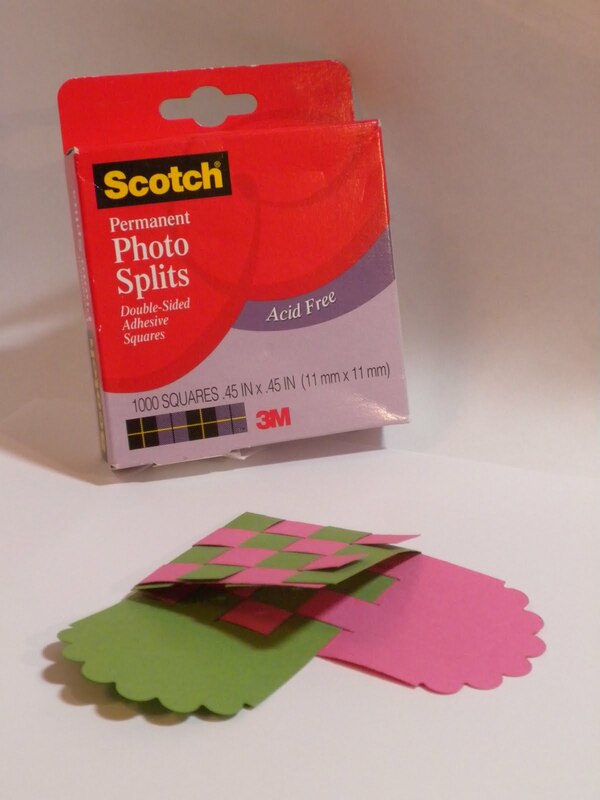 Great tip about using the photo splits too. I bet those come in handy for quite a few situations. 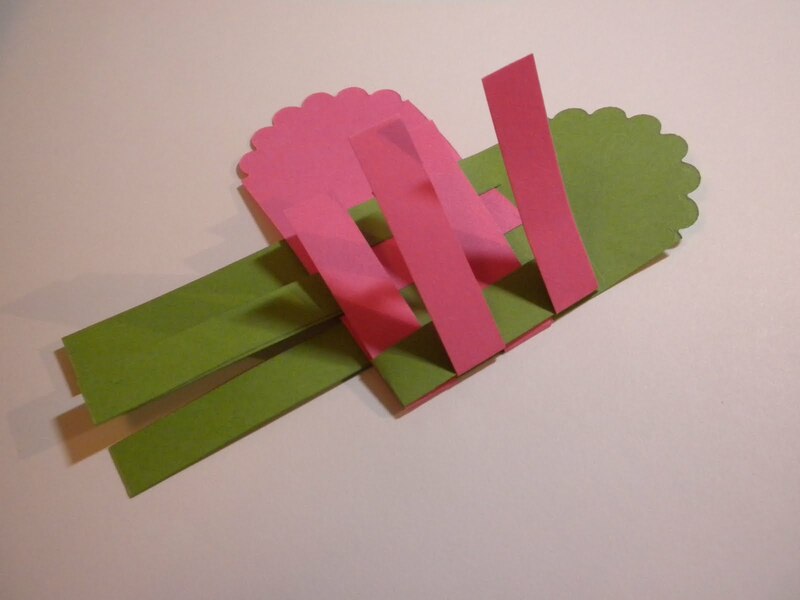 I love this paper design – great for kids working on small motor! Oh, I remember those Kathryn! Your mom and I must be the same age–uuh, ok not going there, LOL–thanks for the great reminder! Never thought about using these for a card. Love your sample and your tutorial. Congrats. Love the braided hearts. Kathryn makes it look so easy. Good job on the tutorial. Will give this a try too. Thanks! This looks so fun… I can't wait to give it a try too! Hurry up, weekend! Thanks for sharing! What a great tutorial!